New Jersey currently hosts some 450 species of vertebrate wildlife along with 85 freshwater fish, according to the Division of Fish & Wildlife in the New Jersey Department of Environmental Protection. At various points during the year, the state's marine waters, bays and estuaries are habitat for 28 marine mammals and 336 marine finfish. New Jersey also is situated in the path of the Atlantic Flyway bounded to the east by the Atlantic Ocean and to the west by the Allegheny Mountains, the principal route for birds migrating annually to and from northern locations to the south and Latin America. For over thirty years, New Jersey has been the site of the World Series of Birding, at which teams from across the country compete to identify the most species over a single day, with the leading teams typically reporting well over 200 species. The state government maintains some 500,000 acres of state-owned public open space in state parks and other protected areas, including over 354,000 acres in 121 Wildlife Management Areas specifically managed to enhance wildlife populations and provide for wildlife-oriented recreation. The largest protected area is the Pinelands National Reserve in the southern part of the state, which comprises one-fifth of the state's land area and is subject to oversight of development under both federal and state legislation. The state also operates the Hackettstown Fish Hatchery to stock fish in rivers and streams and the Rockport Pheasant Farm to breed and raise pheasants for hunting in selected wildlife management areas. The most recent national survey taken at five-year intervals found that in New Jersey during 2011 there were 794,000 people over 16 years of age who hunted or fished, and more than 2.4 million individuals participated in other wildlife-oriented recreational activities such as bird feeding, wildlife observation and photography. 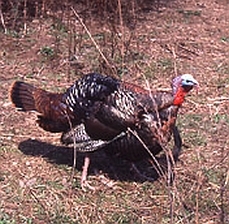 The federal government also pursues wildlife conservation at recreation and wildlife areas it maintains in New Jersey, including the Edwin B. Forsythe National Wildlife Refuge; Great Swamp National Wildlife Refuge; Supawna Meadows National Wildlife Refuge; Walkill River National Wildlife Refuge; Cape May National Wildlife Refuge; Gateway National Recreation Area; and Delaware Water Gap National Recreation Area. Hunting and fishing within the state is subject to regulation by the Division of Fish & Wildlife, which sets the calendar for allowed seasons and issues licenses along with other rules. New Jersey saltwater fishermen are required to register with the free New Jersey Saltwater Recreational Registry Program, but the state otherwise does not require a general saltwater fishing license, with the exception that harvesting of specific species such as shellfish are subject to limited number of saltwater licenses and permits. The federal government, through the National Marine Fisheries Service, also issues permits for coastal fishing for tuna and licenses for commercial fishing boats, as well as requiring reporting for catches of specific species including tuna and swordfish. Commercial fisheries in the state land over 120 varieties of marine finfish and shellfish valued in excess of $100 million annually, led by sea scallops, clams, mackerel, blue crabs, fluke, herring and lobster. There are six ports serving commercial fishing boats at Belford, Point Pleasant, Barnegat Light, Cape May, Port Norris and Atlantic City (shellfish only). The state also maintains registries of the largest fish caught in fresh and salt waters by sport fishermen. As the state with the densest population in the nation, New Jersey has debated how to control increasing interactions between wildlife and humans, particularly with growing numbers of deer, bears and coyotes. - Deer - In the late 1800s, deer had virtually disappeared from the state as a result of over-hunting, but by 2014 there were roughly 106,000 deer (down from about 200,000 in the 1990's as a result of state policies to reduce the population), according to New Jersey Department of Environmental Protection estimates. In the 2014-15 hunting season on the 750,000 acres of public land available for hunting, 52,704 were killed by firearms or bow and arrow. 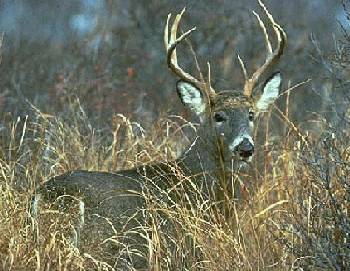 In addition to harvests by individual hunters, some municipalities have retained professional firms to reduce local deer populations. Approximately an additional 25,000 annually are killed by motor vehicles. The population trend is considered stable. - Bears - Efforts to control the bear population, estimated to have grown to 3,500 in 2015 from fewer than 100 in the 1970s, have been especially controversial, with protesters appearing at public hearings and picketing at hunting sites. The ten-day hunt allowed in December 2015 resulted in the killing of 510 animals, somewhat below the state government's goal of reducing the population by a fifth. In 2014, a 22-year-old Rutgers student was killed by a bear while hiking on a trail in Sparta and shortly after the December 2015 hunt a Boy Scout leader was bitten by a bear in Rockaway Township as he was showing his scouts a cave which the bear was occupying. Bear populations are highest in northwestern and central regions, but sightings have been reported in all counties. - Coyotes - Coyote populations have increased since 1980 to currently number some 10,000 animals, although the state reports that they have not been restored as the result of any officially sanctioned import program. In New Jersey, adult coyotes range in weight from 20 to 50 pounds and exceptionally large ones may weigh up to 55 pounds. Sightings have been reported in all counties. 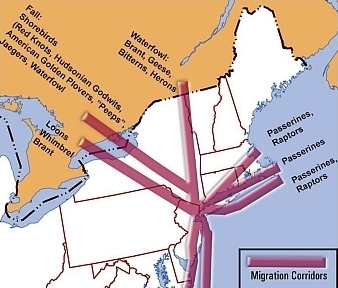 New Jersey is located in the path of the Northeast's major migratory bird corridors. The Edwin B. Forsythe National Wildlife Refuge administered by the U.S. Fish and Wildlife Service comprises over 47,000 coastal acres of southern New Jersey, much of it salt marsh, and is situated in one of the Atlantic Flyway’s most active migratory flight paths. Species that make up a significant portion of the flyway total include the Atlantic brant, black ducks, snow geese, Canada geese, bufflehead, mute swans, mallards and scaup. The state also is the site of natural, public lands and other sanctuaries, such as several operated by the New Jersey Audubon Society and other nonprofit organizations. 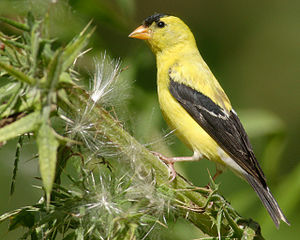 In addition to migratory species, the state has birds which remain in New Jersey throughout the year.​ One species is the Eastern (or American) Goldfinch, which in 1935 was designated by the state legislature as the official state bird. Other common species include ducks, geese, owls, warblers and shorebirds. Birds once nearly extinct in New Jersey--including the bald eagle, falcon, osprey, piping plover and wild turkey--also have been the focus of restoration programs, with the progress of individual nests sometimes monitored by video cameras webcasting to the public. 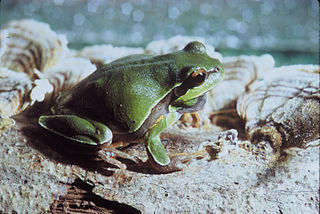 - Amphibians - There are 36 different amphibian species of frogs, salamander, and toad in New Jersey. Frogs include the tiny Pine Barrens Tree Frog--ranging between 1 1/2 to 2 inches in length--along with bullfrogs growing up to six inches. At over eight inches long, the Eastern Tiger Salamander is the state's largest amphibian, mostly found in South Jersey. - Reptiles - New Jersey is habitat to 43 different species of snakes, turtles, and lizards. At over six feet in length, the Northern black racer and black rat snake are the state's largest snakes and are found throughout the state. The Northern copperhead, found in the northern region of the state including the Palisades along the Hudson River, and timber rattlesnake, an endangered species most frequently seen in northern counties and the Pinelands of South Jersey, are the two venomous snake species resident in the state. The Pinelands also hosts the northernmost population of the Corn Snake; relatively large numbers of the Northern Water Snake; and the Eastern Hognose, also known as the "Puff Adder," since it often spreads its neck similar to a cobra when alarmed. The Snapping Turtle is the largest and most common turtle in New Jersey: they grow to over 20 inches and their range spans the entire state. In contrast to the size of the Snapping Turtle, the Bog Turtle--listed as an endangered species in the state and found mostly in rural areas of Sussex, Warren, Hunterdon and Salem counties--has a shell length of only about three to four inches at adulthood. New Jersey lizards include the Northern Fence Lizard, also known as the “Pine Lizard,” usually found in pine forests, sometimes hiding near old stumps and rock piles. In 1973, New Jersey enacted legislation to identify and protect endangered and threatened species, just two weeks before a similar federal law was approved. 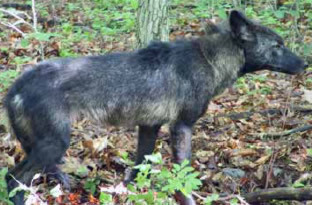 Endangered species are those whose prospects for survival in New Jersey are in immediate danger because of a loss or change in habitat, over-exploitation, predation, competition, disease, disturbance or contamination. Threatened species are those which may become endangered if their habitat or other surrounding conditions begin to or continue to deteriorate. The lists of New Jersey's endangered and nongame wildlife species are maintained by the state DEP's Division of Fish and Wildlife's Endangered and Nongame Species Program. 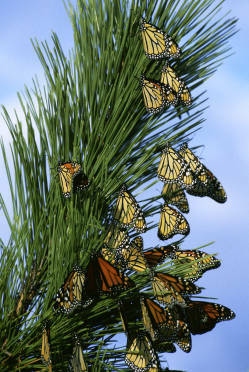 Currently, over 80 species are designated as endangered or threatened. Soon after they arrived, the first European settlers in New Jersey sought to exploit the colony's wildlife, not only for their own sustenance but for trade and commerce. The Dutch and Swedes set up trading posts to barter with the Lenni-Lenapes and other tribes for pelts from beaver, muskrats, rabbits and other fur-bearing animals. Later, the settlers on their own began to set traps or use firearms to hunt for the animals. By the 18th century, a flourishing industry had developed to fashion the pelts into apparel like hats and coats, later diversifying from the initial use of pelts from furs to the weaving of cotton and other textiles. The City of Orange, for example, became known as "hatter to the world," at its peak hosting some thirty hatmakers producing nearly five million hats. ​To the south, the first villages on Cape May were whaling ports, supporting the dangerous offshore pursuit of whales which continued until around 1700. 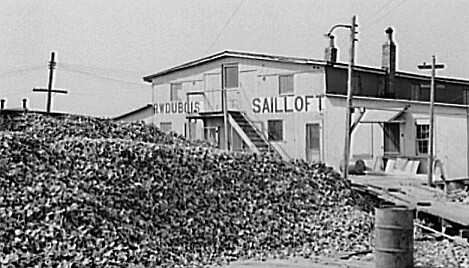 Other towns grew along the coast and inland waterways; the importance of shellfishing along the Delaware Bay is suggested by the surviving place names of the once thriving oyster ports of Bivalve and Shellpile in Cumberland County. In the 1960s and 1970s, however, growing public awareness of the loss of habitat and the impact of ecological interference by pesticides and toxic waste brought a series of federal and state government actions intended to protect remaining animal populations. In 1966, a federal law authorized research to identify threatened species, and subsequent legislation, The Endangered Species Act of 1973, imposed strong controls on land-use development and other activities that would pose risks to the survival of imperiled species. Other legislation constrained the use of pesticides and other toxic chemicals, which had led to extinction or sharp population declines of species of birds, butterflies, fish and other animals. 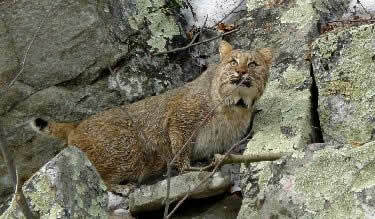 Regulation of hunting and fishing also was strengthened. 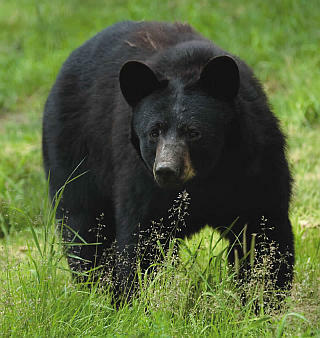 In 1971, the New .Jersey Fish and Game Council, a unit first created in 1945 by the legislature and now within the Department of Environmental Protection, for the first time barred the hunting of black bear due to their limited numbers. With considerable controversy, marine fishing also was restricted as over-fishing of once-prevalent species like cod were threatened. In the wake of a disease that devastated oysters in the 1950s, strict limits on acreage allowed for harvesting was imposed by the state, and federal agencies sharply cut allowed catch limits of marine fish species like cod, striped bass and swordfish. New Jersey's wildlife are the subject of various research programs conducted by the federal and state governments; academic institutions; and private associations and organizations. The Rutgers School of Environmental and Biological Sciences maintains several teaching and research programs, and includes the New Jersey Agricultural Experiment Station, the research and outreach arm of Rutgers with specialists conducting programs in areas including fisheries and insects. Rutgers was a pioneer in insect research, particularly in mosquito breeding and control. The Experiment Station's Haskin Shellfish Research Laboratory also conducted research on the parasite which devastated oyster production in the 1950s and developed oyster varieties resistant to the disease. The Station also sponsors the Barnegat Bay Shellfish Restoration Program, a partnership with the state Department of Environmental Protection's Bureau of Shellfisheries, to study and educate communities on shellfish ecology in the Bay.